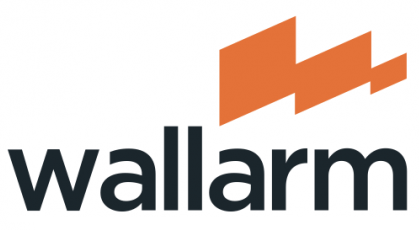 Wallarm – a platform leveraged by three-layered machine learning architecture to protect applications, micro-services and APIs from security attacks, has raised another $8M in Series A round led by Toba Capital in participation with Partech, Gagarin Capital and Y Combinator. Wallarm mainly offers three products: NG WAF (for real-time protection), Wallarm DAST (for vulnerability and incident detection) and Wallarm FAST (for automated security testing) at the moment and provides a variety of security solutions to online businesses. This round sets Wallarm’s total funding amount to $10.8M since its seed round in 2016. In addition to funding, the company said it’s nearly doubled the number of customers it serves in the past year. Wallarm says it grew recurring revenue by 100 percent, year-on-year, in Q3 2018 as well. As part of the Series A transaction, a number of individuals will be joining the company’s executive team and its various boards. Speaking of sales and marketing: Johan Nordstrom, a former executive at Imperva and Arbor Networks will join Wallarm as its chief business development officer and HyTrust cofounder Renata Budko joined as chief marketing officer. On the board side: Rajan Aggarwal, a partner at Toba Capital, will join the company’s board of directors. Reza Malekzadeh of Partech will join as a board observer. Wallarm is also beefing up its advisory board with the addition of two folks: LendingClub CISO Richard Seiersen and Randy Bias, who serves as Juniper Networks’s VP of technology and strategy. Please read the full story at CrunchBase. In 2015 when we added Paperspace to our portfolio, it was offering full computer in the cloud accessible through any web browser. By “full”, we really mean it because you could play games and perform heavy duty jobs like using 3D CAD softwares, rendering 3D simulations and video editing etc. However, now Paperspace has walked an extra mile by offering GPU-powered cloud infrastructure for machine learning and data science. Their new product, Gradient running on Paperspace cloud makes it possible with a suite of tools (like 1-Click Jupyter Notbooks, Job runner and Python module etc.) for data scientists to just focus on code and building models leaving rest of the management to Gradient. Not just that, advanced GPUs offered by Paperspace for machine learning, are more powerful yet less expensive than cloud giants like AWS, GCP and Azure. With machine learning going mainstream these days, this new direction of Paperspace is quite strategic for their future growth and not just us but other investors also validate it by providing $13M in Series A funding to Paperspace. Best of luck to Paperspace with finding their own space in the world of data science! Battery Ventures led the round with participation from SineWave Ventures, Intel Capital and Sorenson Ventures. Existing investor Initialized Capital also participated. Today’s investment brings the total amount to $19 million raised. Dharmesh Thakker, a general partner with Battery Ventures sees Paperspace as being in the right place at the time. As AI and machine learning take off, developers need a set of tools and GPU-fueled hardware to process it all. “Major silicon, systems and Web-scale computing providers need a cloud-based solution and software ‘glue’ to make deep learning truly consumable by data-driven organizations, and Paperspace is helping to provide that,” Thakker said in a statement. Paperspace provides its own GPU-powered servers to help in this regard, but co-founder and CEO Dillon Erb says they aren’t trying to compete with the big cloud vendors. They offer more than a hardware solution to customers. Last spring, the company released Gradient, a serverless tool to make it easier to deploy and manage AI and machine learning workloads. “It’s really a greenfield opportunity, and we want to be the go-to platform that you can start building out into intelligent applications without thinking about infrastructure.” With $13 million in hand, it’s safe to say that they are on their way. Last year, Flutterwave – a digital payments technology service based in Africa had a Series A round in which $10M funding was raised and now they have got another $10M in the extension round raising the total funding amount of Flutterwave to $20.1M. With Flutterwave’s simple APIs, businesses and individuals in Africa can easily make payment integrations with their websites and apps. Even just launched in 2016, Flutterwave has already processed 100M transactions of payments worth $2.5B which is a great achievement for this young fintech startup. Flutterwave also has business partnerships with Uber, Booking.com, TransferWise and Flywire in Africa. The latest round of financing includes investments from Mastercard, CRE Ventures, Fintech Collective, 4DX Ventures, and Raba Capital, among others, and means the startup has now raised over US$20 million to date. Its largest investors include Green Visor Capital and Greycroft Partners. As part of the financing, current Green Visor capital chairman and general partner, and former Visa chairman and chief executive officer (CEO Joe Saunders, has joined the Flutterwave board of directors. Flutterwave co-founder Olugbenga Agboola will replace Iyin Aboyeji as CEO. “On behalf of the entire Flutterwave team we wish Iyin luck in his future endeavors. Moving forward, the entire Flutterwave team and I are excited for Flutterwave’s future and look forward to growing the company,” Agboola said. Please read the full story at Disrupt Africa. In August 2016, we added Innov8 – a startup offering premium ergonomically work spaces for everyone, to our portfolio. By now, Innov8 has twelve work spaces located in five cities of India including Delhi NCR, Mumbai, Gurgaon, Chandigarh and Bengalore. Total funding amount raised by Innov8 so far is not confirmed but Innov8 has disclosed $4M funding raised in a recent Pre-Series A round led by Credence Family Office. According to Founder and CEO, Dr Ritesh Malik this will mean opening three co-working spaces in Delhi, Mumbai and Bangalore, with some of them as big as 1 lakh square feet in size. The company also strongly suggested that it would look at newer geographies – Pune, Chennai and Hyderabad – only in the next fiscal year. The company is also looking to make additional investments in building technology platforms for businesses along with customer-facing apps, and is investing in community experience while increasing its NPS (Net Promoter Score). Please read the full story at YourStory. Lambda School was added to our portfolio last year in August and just after 14 months, it was good enough to raise $14M in Series A funding round. Lambda School is an online training service that aims to produce quality software engineers for competitive market with its 30-weeks full time or 12-months part time training programs. Students are not required to pay up-front for the course and only pay back if they start earning at least $50K per year. If students earn less than $50K per year, they don’t have to pay. The funding round was led by GV and Stripe also participated in it which raised the total funding amount of Lambda School to $18.1M. Lambda School plans to use these funds for offering more new courses and growing the academy. “We chose to work with these new funding partners because we all have a desire to fundamentally fix how we teach and train software developers. This new model has proven effective with each of our graduating classes, and we’re grateful to have the support of so many investors who see the value in our approach,” said Austen Allred, CEO and co-founder of Lambda School. Since Lambda School’s inception in April 2017, over 75 Lambda School graduates have been hired, including 83% of early cohorts, with an average salary increase of over $47,000 per hired graduate. The school hopes to increase the number of students hired as it builds out a more advanced hiring network and continues to adapt its curriculum to teach the skills employers need in new hires today. The growing coding school currently has 700 students enrolled. Please read the full story at Lambda. Enabling complex multi-cloud deployments for enterprises with the power of Netflix and Google developed (and open sourced) Spinnaker, Armory – a continuous integration and delivery (CI/CD) platform has got $10M in a Series A funding round led by Crosslink Capital, with participation from Bain Capital Ventures, Javelin Venture Partners, Y Combinator and Robin Vasan. Just added last year to our portfolio, Armory has raised a total amount of $14M by now including this recent Series A funding. Armory is currently offering two Spinnaker options: Open Source Spinnaker for small teams and Enterprise Spinnaker for large enterprises. When they started the company, the founders made a decision to hitch their wagon to Spinnaker, a project that had the backing of industry heavyweights like Google and Netflix. “Spinnaker would become an emerging standard for enabling truly multi-cloud deployments at scale. Instead of re-creating the wheel and building another in-house continuous delivery platform, we made a big bet on having Spinnaker at the core of Armory’s Platform,” company CEO and co-founder Daniel R. Odio wrote in a blog post announcing the funding. The bet apparently paid off and the company’s version of Spinnaker is widely deployed enterprise solution (at least according to them). The startup’s ultimate goal is to help Fortune 2000 companies deploy software much faster — and accessing and understanding CI/CD is a big part of that. Graduated from YCombinator Summer 2015 batch, a Brisbane based online learning platform – GO1 has raised $10M Series A funding. The funding round was led by SEEK, with participation from Our Innovation Fund. The basic GO1 platform is free for everyone. Individuals or companies can upload content & create online courses for their customers or staff members and can also manage assessments with sophisticated reports. Not just that, courses can also be hosted on custom domain or a free sub-domain at go1.com. However, special enterprise and support features can be unlocked at $2 per user. Businesses can also go for Premium plans where they can access 1000+ most popular off the shelf courses offered by GO1. 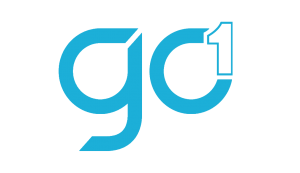 With offices in United States, Australia, United Kingdom, South Africa, Vietnam and Malaysia, GO1 continues to expand its services and operations globally. The startup reports it now hosts more than 500,000 courses and learning resources, with more than 22 million users across clients including Cricket Australia and Adshel having access to its content. The funding will go towards expanding GO1 into new markets. With Seek a customer of the startup, the investment follows the companies earlier this year partnering to integrate GO1 courses into Seek’s jobs platform. This integration sees a job seeker presented with relevant courses from GO1 while going through the job search process; if a role requires a particular educational or training requirement, such as first aid skills for example, a corresponding GO1 course will surface. Andrew Barnes, cofounder and CEO of GO1, said the funding from Seek is an exciting development for the team, its investors, and training partners. “Seek is one of Australia’s first unicorns and a stellar success story of a local company having global success. We’re looking forward to deepening our involvement between Seej and GO1.com and look forward to increasing our presence in new markets around the world,” he said. Ronnie Fink, Seek’s Corporate Development Director, said there are a number of synergies between the two businesses. “Education and training that helps people up-skill and re-skill to obtain and maintain meaningful employment is increasingly important for people. GO1.com is increasing the accessibility and ease in which people and businesses can access such education and training,” he said. Please read the full story at Startup Daily.